The holiday season means that there are dozens of delicious treats in your near future. This time of the year always brings an excess amount of celebratory food into your life, which means that your pet will also be near all of those goodies. 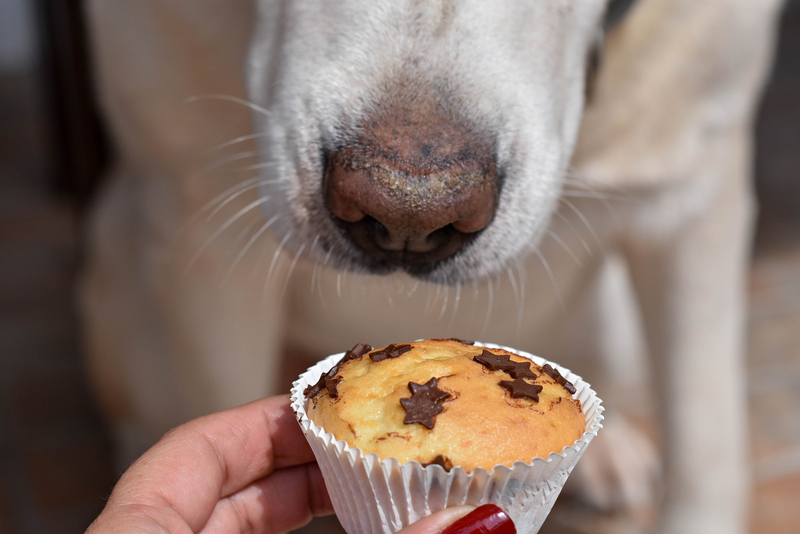 Whether you are hosting family and friends or you are the guest at a holiday party, here are some tips that everyone should keep in mind to make sure certain treats are kept out of range from your pets. Chocolate is a human favorite, but a well-known “no-no” for dogs. This delicacy is in many holiday treats, which means that you need to be very cautious about where you place the chocolatey holiday desserts. The reason that chocolate is so dangerous for dogs is because it contains a powder called theobromine. Theobromine is highly toxic to dogs because a dog’s metabolism is much slower than that of a human’s, which means that it takes a longer time to digest, thus leaving the toxin sitting in their stomachs. Milder signs that your dog is experiencing the adverse effects of chocolate’s theobromine include dehydration, slower heart rates, and irritable bowels. More extreme symptoms include seizures and even death. For reasons unknown, grapes and raisins are rather toxic to dogs. Research is still being done to identify the reason that grapes are so toxic to a dog, which means that no matter what form of grape you are eating, you should avoid feeding them to your dog. If a pet eats grapes, symptoms that can arise include appetite loss, dehydration, stomach pain, bladder trouble, and weakness. More intense symptoms include seizures, vomiting, and kidney failure. This should be rather self-explanatory, but it always needs to be reiterated. Holidays mean that people will be celebrating by adding alcohol to certain foods and beverages. Whether you are making eggnog, fruitcake, or a personal recipe, alcohol can have the same effects on pets that it has on humans, except it takes significantly less of it to affect a pet. Just like with humans, the higher percentage of alcohol in a beverage, the easier it is to notice the effects in a pet. Whether you host a large crowd or attend a party with alcohol, be aware of your surroundings to make sure you don’t spill your or another person’s drink, or leave your beverage accessible to furry friends. The symptoms associated with a pet consuming alcohol include vomiting, diarrhea, respiratory issues (difficulty breathing), dehydration, mood swings, and seizures. It is important to remember that some alcohol is made with ingredients that are toxic to dogs (like grapes for example). We hope that your holiday season is filled with delicious human food and drink, but in the unfortunate and rare instance that your pet does get into some harmful treats, Dogwood is here to make sure that your pet receives the proper treatment it needs. Give us a call at 919-942-6330 or stop by any time if you think your pet may have eaten something it shouldn’t have.